Welcome to Keys Cable @ oTHErside Adventure Park ! Home to the North Americas only salt water cable park the newest Otherside Boardsports Pro shop and so much more! YOU MAY KNOW WAKEBOARDING- BUT WHAT DO YOU KNOW ABOUT CABLE? Virtually replacing the need for a boat, cable systems are an overhead towing device used to pull riders (wakeboard, waterski, or kneeboard) across a body of water. Keys Cable has unique, 2-point cable systems that are independently operated. Unlike traditional cable systems that pull multiple riders around a lake in a square or circular motion, our systems pull one rider at a time between two points, in a continuous, back and forth motion. The riding feel is very similar that behind a boat, but slightly easier because of upward lift that is incurred from a higher tow point. 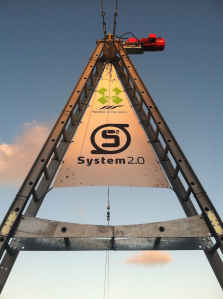 The cable systems are run by small, electric motors, using only about as much energy as a small refrigerator, making them very energy efficient and the greenest source of wakeboarding available. And at keys Cable powered by the sun! The 2-point system gives the rider many advantages over a full size cable. Independently controlled system gives the operator the ability to customize a ride just for you. Not only can the speed be controlled for ability level but the cable is meant to be stopped when the rider falls. This means less swimming and more riding! Riders will no longer incur the swim/walk of shame. After a fall, the cable will stop, and the operator will bring the handle to the rider, who will continue the ride from that point in the lake. Advanced riders can still perform all of the air tricks that can be done behind a boat or full size cable, and will enjoy the quick recovery after a fall. 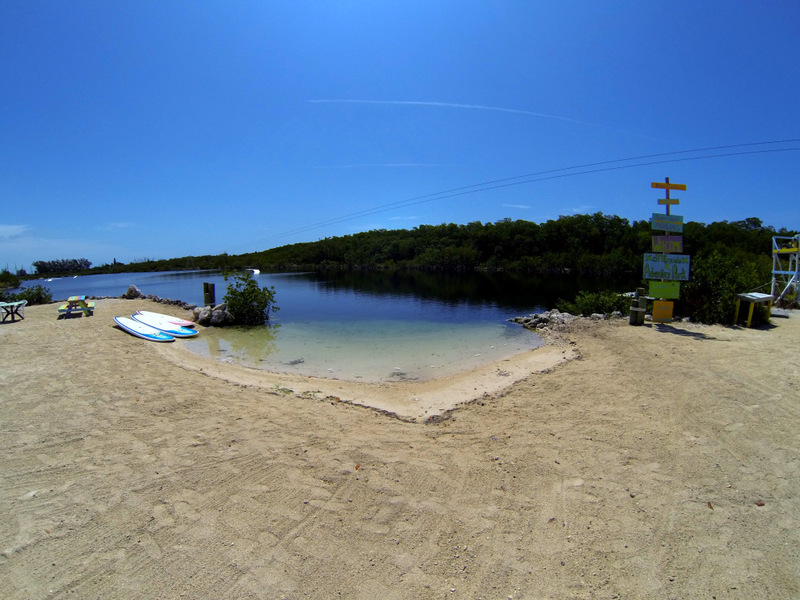 Keys Cable, Otherside Boardsport’s Adventure Park, sits on 50 acres in the heart of the Florida Keys, down in Marathon! 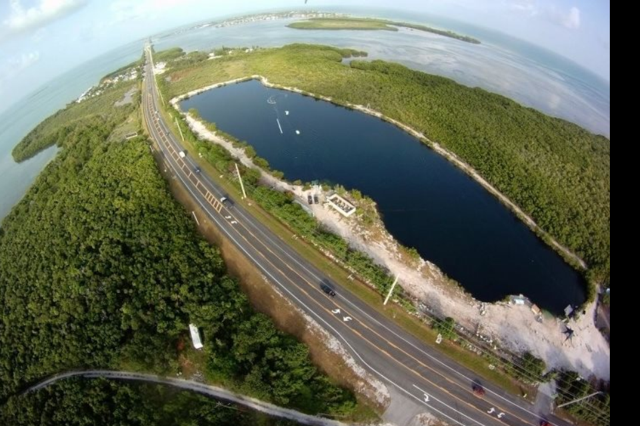 Our lagoon is one of many that border the Overseas Highway which goes from Florida City to Key West. Dating back to the early 1900’s these quarries were dredged by The East Coast Railway for the construction of Henry Flaglers “Overseas Railroad.” Through the 1960’s quarry operations continued leaving us with almost 5 acres of tidal lagoon with depths reaching as deep as 65 feet! After its life as a quarry the property transformed through the next 30 years spending most of its time as an aquaculture and research facility. In 2008 the oTHErside crew got their first glimpse of the the property’s potential when they hosted their first contest “The Green Grass Wake Jam”. (http://www.wakeboardingmag.com/events/2008/07/30/green-grass-wake-jam-wrap-up/). After several years of red tape and persistence Mike and Shana Walsh contacted Matt Sexton notifying that the property was once again on the market, and the crew decided to give their vision a chance! The business model the crew has evolved off of focuses strongly on “Organic Growth.” So the first step was to establish a fun and profitable activity that would attract tourists and locals while the property was groomed after years of neglect. Littered with leftover aquaculture equipment and heavy, invasive plant growth, the long tedious clean up process began and has shown no plans of slowing down. In March of 2012 we opened the gates to Keys Cable, bringing in Wakeboarders, Kiteboarders, and Stand Up Paddleboarders. By summer of 2014 we opened the remainder of the accessible property and began rolling out the rest of our Action Sports – Eco Farm on the property that is still currently expanding. Through environmental consciousness, education, and fun healthy activities, we will continue transforming this property into another great little gem that the Florida Keys has to offer!